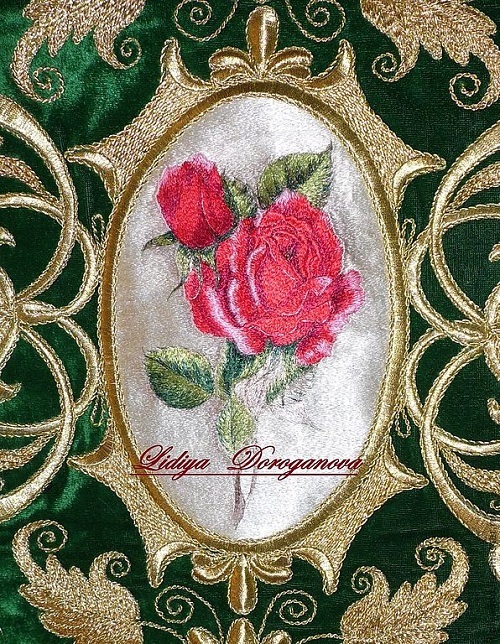 For more than twenty years Lidiya Doroganova has been professionally engaged in the restoration of textiles, embroidery, teaching. 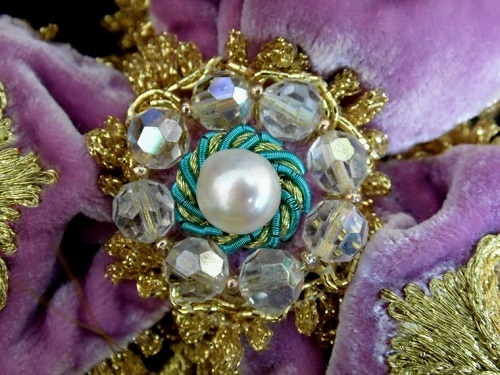 She studied and began her work in St. Petersburg, now lives and works in Simferopol, the Crimea. 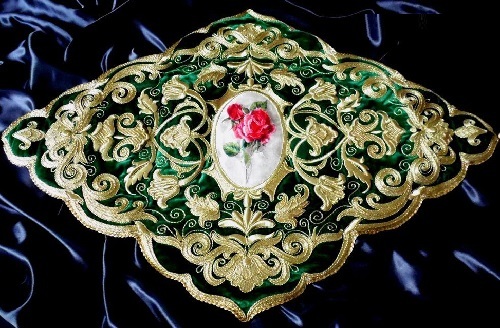 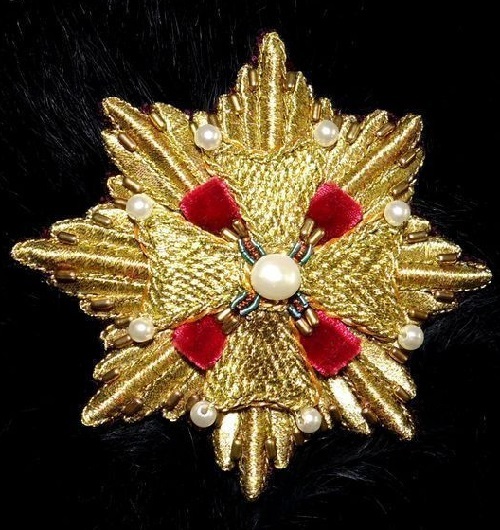 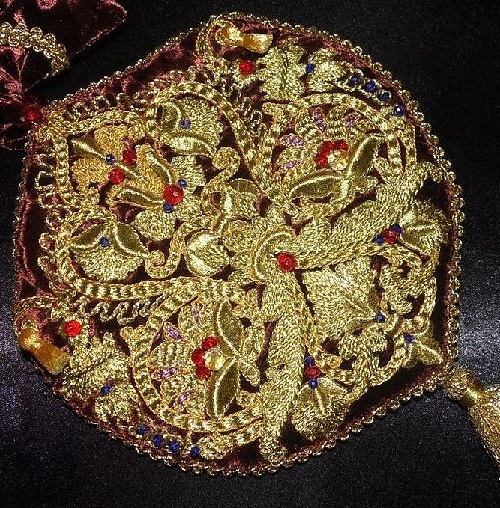 Lidiya Doroganova has her own studio Lid’oro goldwork, in which she creatively works in the ancient technique of goldwork embroidery. 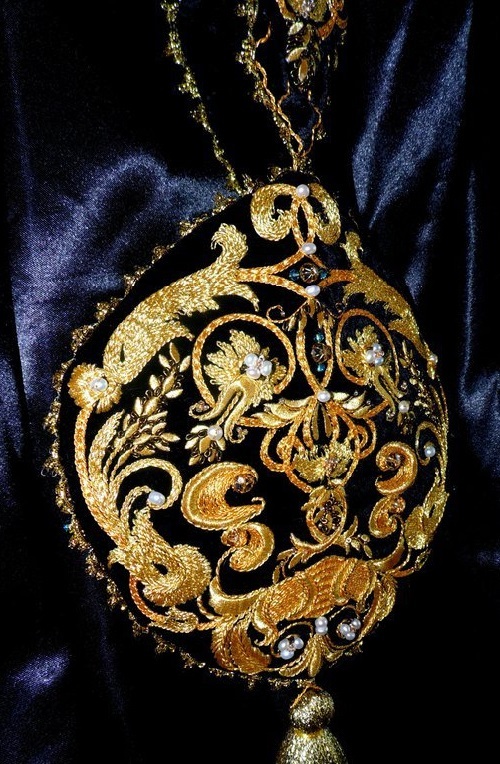 Lid’oro goldwork is luxury bags, glamorous royal items with the highest complexity of execution. 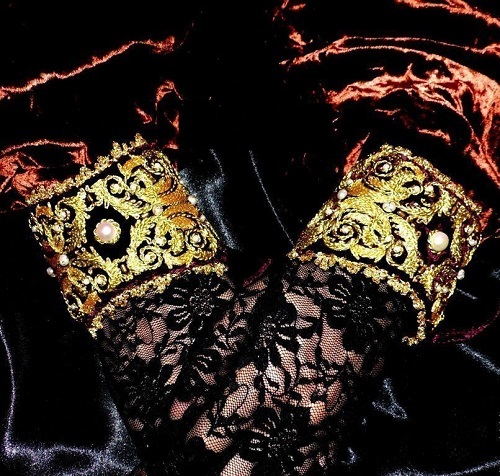 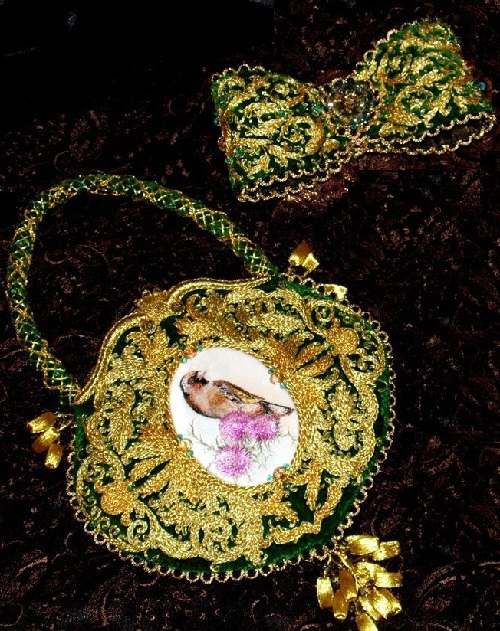 The author’s collection includes bags, brooches, bracelets and other unique handicrafts using antique fabrics and materials of excellent quality, full of historical meaning. 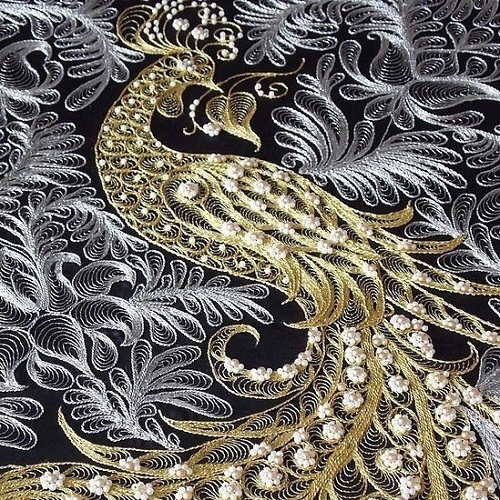 Every item is unique, performed in a single copy. 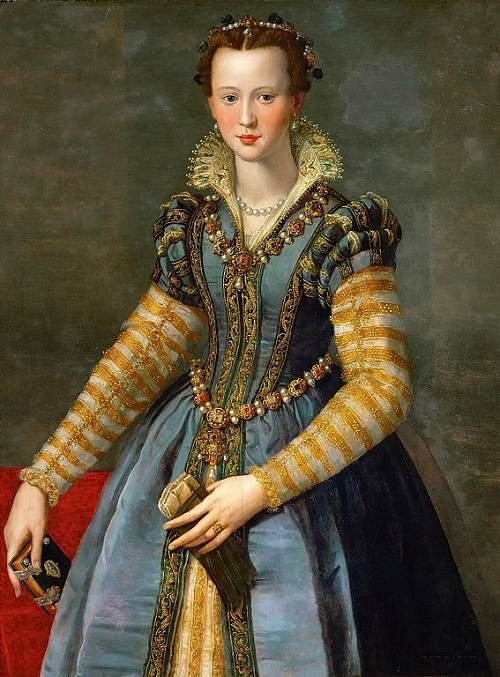 Centuries of experience of old masters gained a new life in her work. 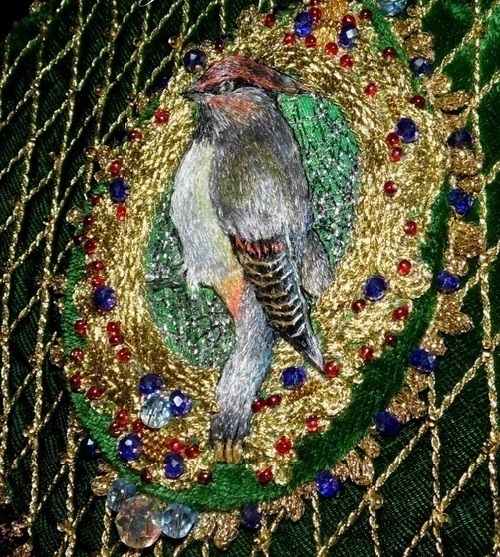 Volume embroidery performed on antique silk velvet (France 1905-1915) green color juicy grass of excellent quality. 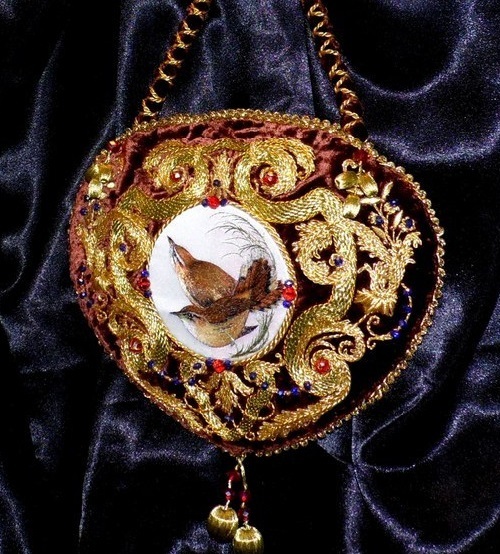 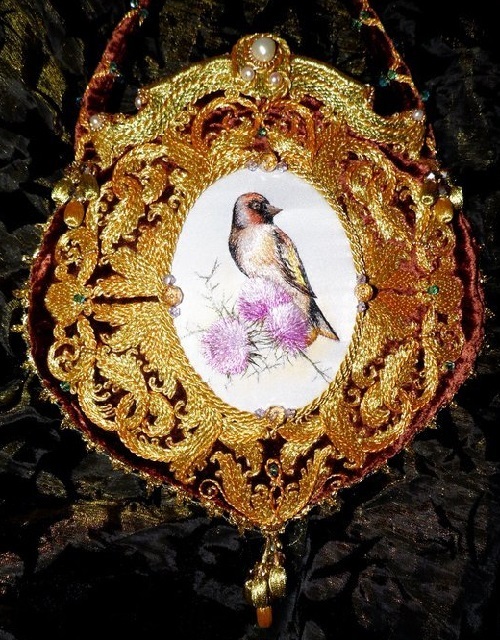 Embroidered medallion depicting a bird on the flowers of thistle, made with the finest silk threads on the background of silk fabric, hand-tinted. 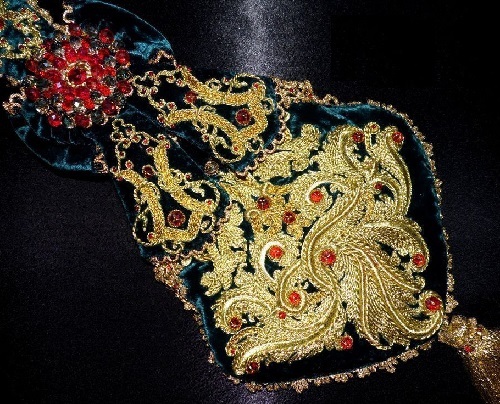 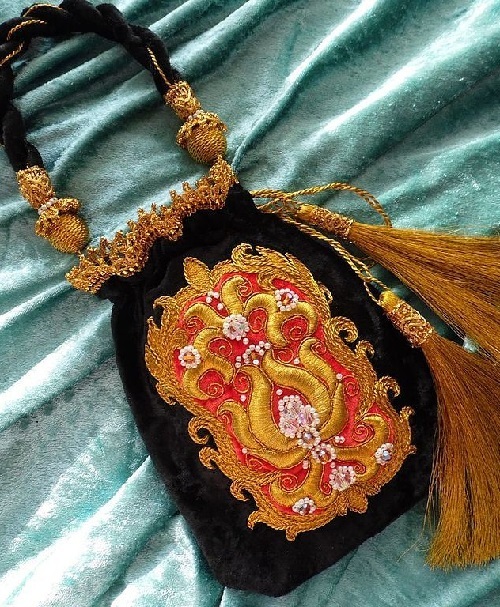 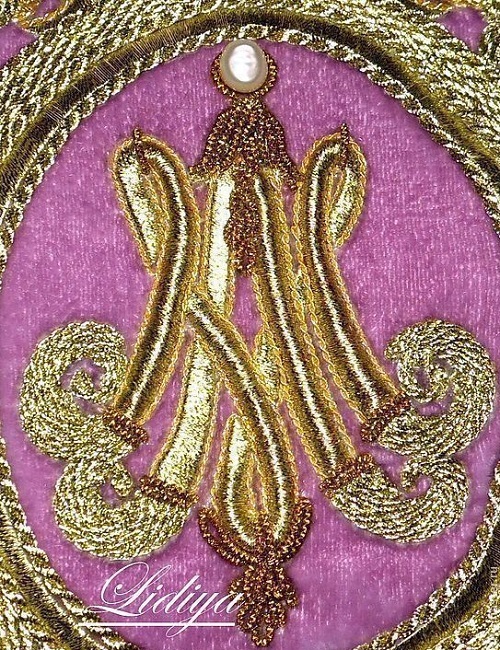 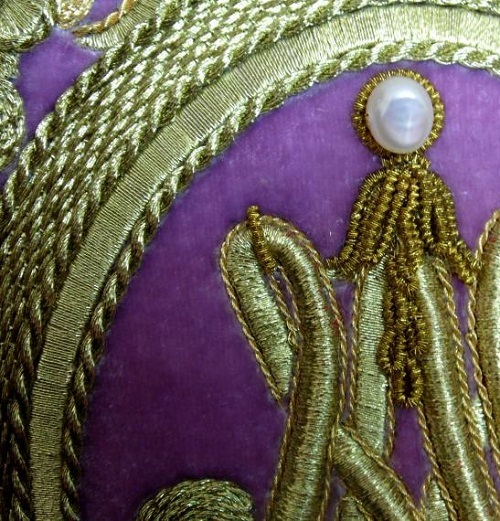 On the back side of the bag, embroidered ornament with tassels of beads, hand entwined with gold thread. 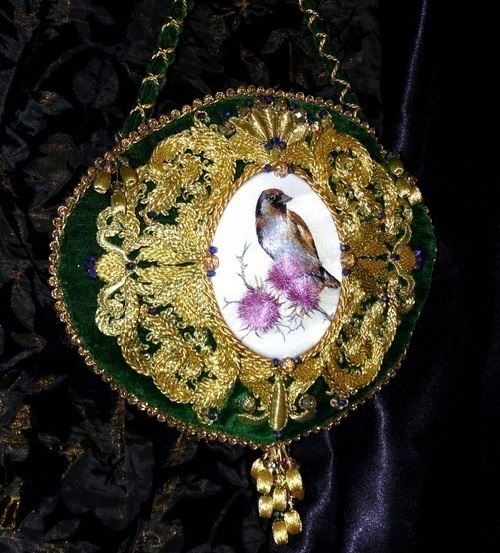 Handbag is fully embroidered and sewn by hand, the author’s work. 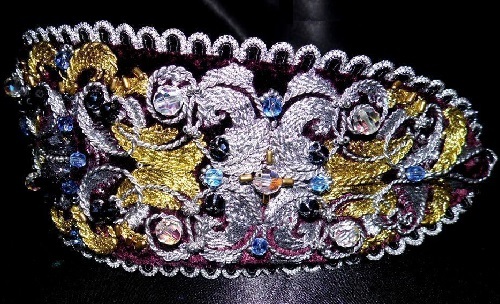 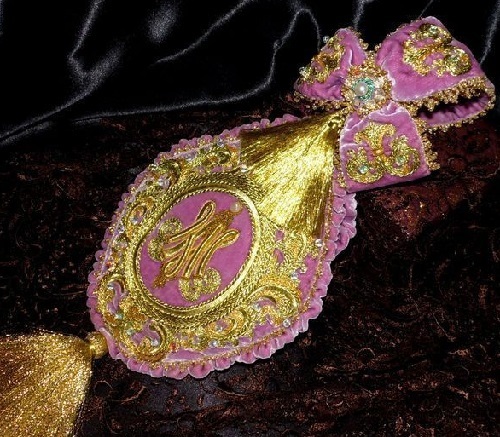 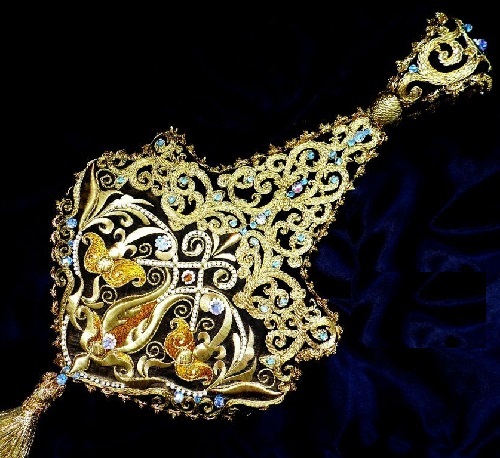 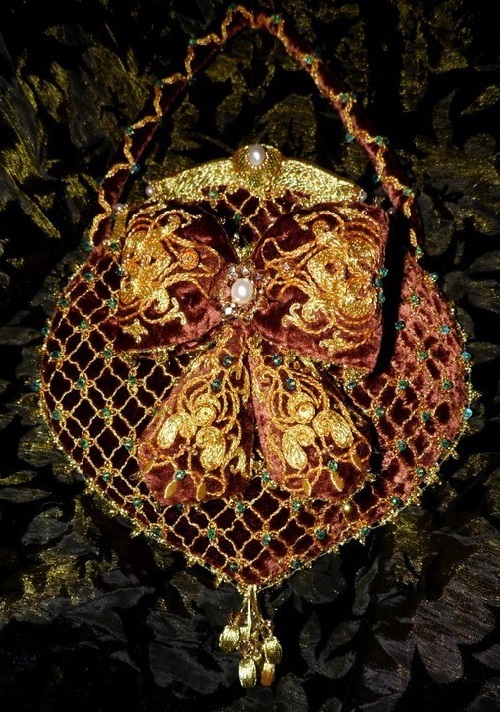 Completed with a large bag brooch in the form of a bow, embroidered on both sides, decorated with colored crystal and beads. 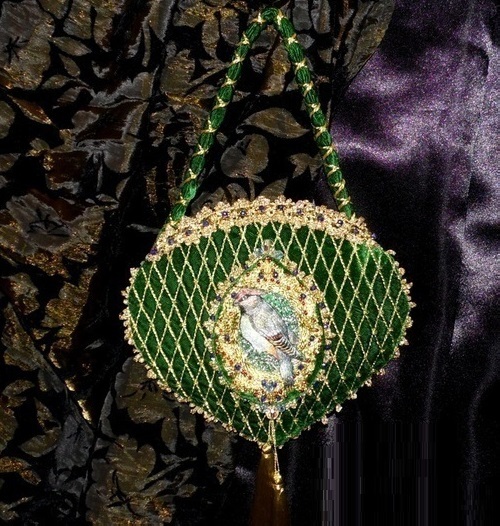 Collectible elegant bag. 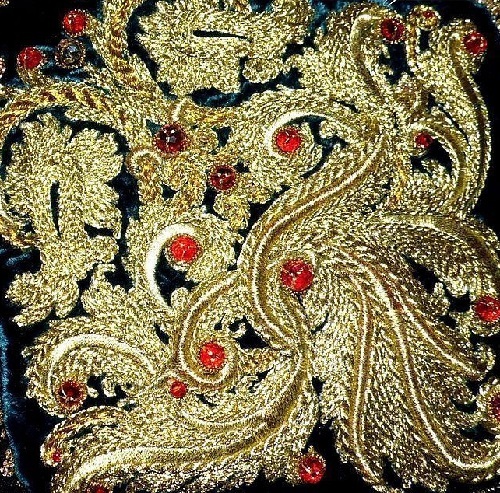 Natural silk velvet, made in difficult Heirloom sewing gold in the Victorian style. 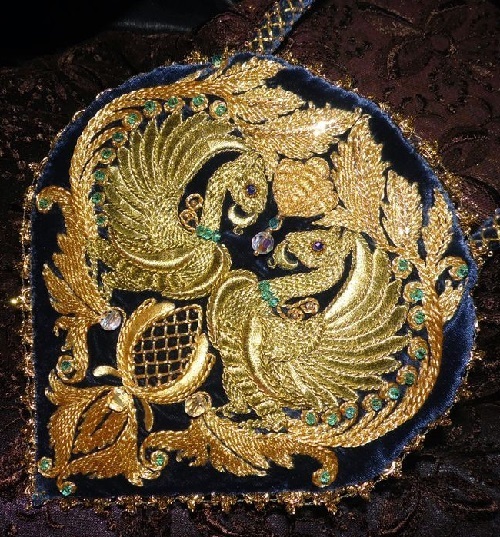 Volume medallion depicting a pair of birds from antique prints. 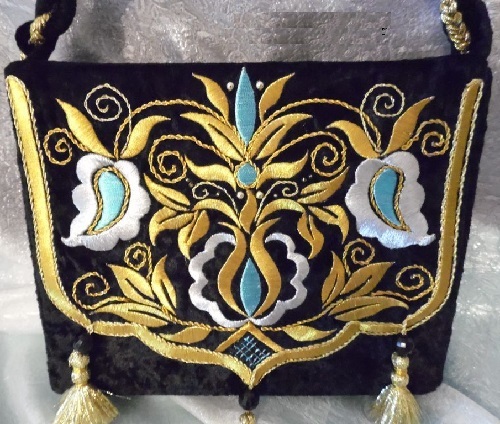 On the back side of the mesh bag embroidered with handmade gold cord, in the center of each cell is the golden bead, which gives a noble shimmer to the bag, decorated with tassels of beads and knobs, hand entwined with gold thread.